When handling a command’s Executed or CanExecute events, you can check the ExecutedRoutedEventArgs.Source or CanExecuteRoutedEventArgs.Source properties to get at the control that is the originator of the event. 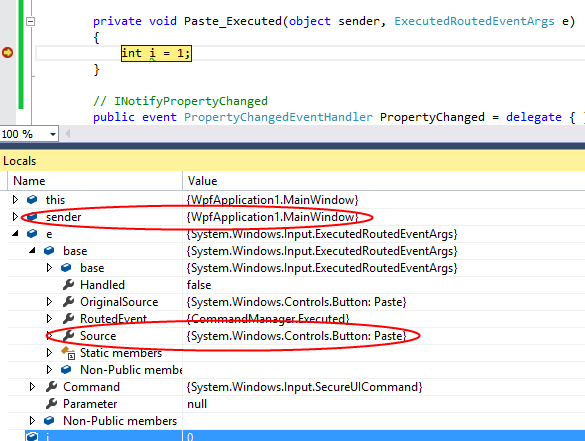 But the event handler also includes a sender parameter that in many cases also points to the originator of the event. In the example below, clicking on the Button initiates a Paste command, which is bound to code using the parent Window’s CommandBindings property. The Button is the Source of the routed command and the main Window is the sender.